Rediff.com » News » Man 'who killed thousands of Americans' faces death! The entire world will be eagerly following the 'trial of the century' in which Khalid Mohammed Sheikh, the alleged mastermind of the 9/11 terror strikes and hoards of other terror plots, faces death penalty if found guilty by a US military tribunal in Guantanamo Bay. The man, who has been formally charged with the murder of thousands of Americans, if convicted, will certainly provide a fillip to US President Barack Obama's efforts to return to the White House moving past stiff competition from Republican Mitt Romney, by highlighting his crackdown on Al Qaeda. "The charges allege that Khalid Mohammed Sheikh and four others accused are responsible for the planning and execution of the attacks of September 11, 2001, in New York and Washington DC, and Shanksville, Pennsylvania, resulting in the killing of 2,976 people," the US defence department announced in a statement earlier this week. 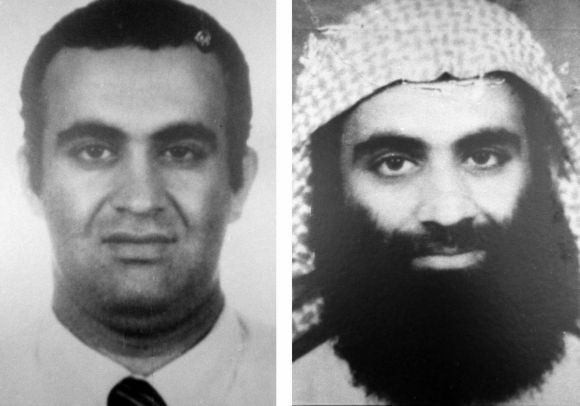 Kuwait-born Al Qaeda member Khalid Mohammed Sheikh, also referred to as 'KSM' by the US, is not only the alleged 'principal architect' of the 9/11 attacks, but has also allegedly played major roles in many other terror plots, including the World Trade Centre 1993 bombings, The 'Operation Bojinka' plot, the Bali nightclub bombings, the 2000 'Millennium plot' and the murder of Wall Street Journal scribe Daniel Pearl. After his capture in Rawalpindi, Pakistan, in 2003, by Inter Services Intelligence, KSM was transferred over the next three years between a series of secret American bases around the world, as the Central Intelligence Agency interrogated him for information on Al Qaeda's international terror network. 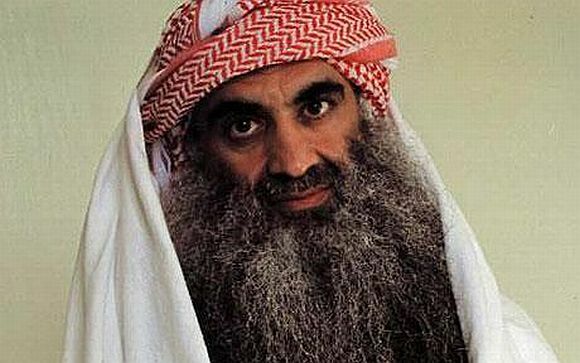 Moved to Guantanamo Bay in 2006, he allegedly accepted full responsibility the following year for September 11 and more than a dozen other plots, including plans to assassinate Pope John Paul II and former US presidents Bill Clinton and Jimmy Carter. Mohammed is also alleged to have boasted that he personally beheaded Daniel Pearl, with his "blessed right hand". 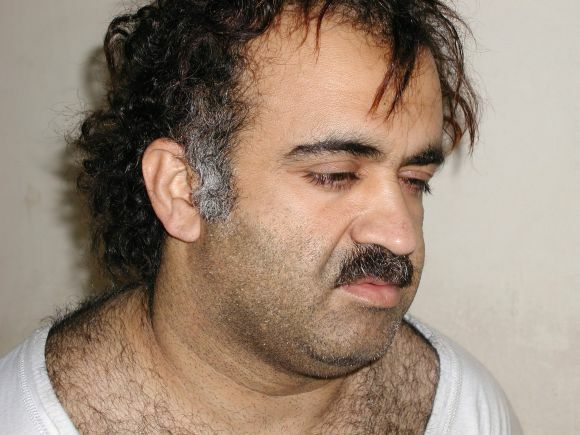 According to different sources, Khalid Sheikh Mohammed was born in Kuwait City on March 1, 1964, or April 14, 1965, to parents who migrated from Balochistan, Pakistan. He spent some of his formative years in Kuwait, and returned to Pakistan soon after, and after spending some time there, went to the United States for further study. He attended Chowan College and completed a degree in mechanical engineering at North Carolina Agricultural and Technical State University in 1986. The following year he went to Afghanistan, where he and his brothers (Zahed, Abed, and Aref) fought against the Soviet Union during the Soviet invasion of Afghanistan. There he was introduced to Abdul Rasul Sayyaf, of the Islamic Union Party. The 9/11 Commission Report also notes that, "By his own account, KSM's animus toward the United States stemmed not from his experiences there as a student, but rather from his violent disagreement with US foreign policy favouring Israel."
. "KSM's limited and negative experience in the United States which included a brief jail stay because of unpaid bills -- almost certainly helped propel him on his path to becoming a terrorist," according to this intelligence summary. "He stated that his contact with Americans, while minimal, confirmed his view that the United States was a debauched and racist country." In 1994, KSM decided to engage more directly in anti-US terror plots and moved to Philippines, to work with his cousin Ramzi Yousuf (one of the main perpetrators of the World Trade Center 1993 bombings) on Operation Bojinka, a Manila-based plot to destroy twelve commercial airliners flying routes between the United States, East Asia, and Southeast Asia. The 9/11 Commission Report says that "this marked the first time KSM took part in the actual planning of a terrorist operation." In December 1994, Yousuf had engaged in a test of a bomb on Philippine Airlines Flight 434 using only about ten percent of the explosives that were to be used in each of the bombs to be planted on United States airliners. The test resulted in the death of a Japanese national on board a flight from the Philippines to Japan. Mohammed conspired with Yousof on the plot until it was uncovered on January 6, 1995. Yousof was captured February 7 of that same year, and KSM, after being secretly indicted by US court on terror charges, made his way to the list of FBI's Most Wanted Terrorists. After that KSM supposedly met Osama bin Laden in Sudan in 1995. 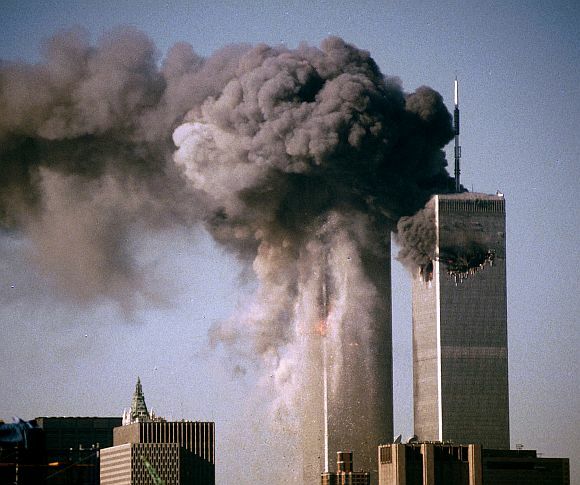 In mid 1996, KSM, during a secret meeting with Osama in Tora Bora, outlined the plan of the 9/11 hijacks and attacks. In late 1998 or early 1999, bin Laden gave approval for Mohammed to go forward with organising the plot. A series of meetings occurred in spring of 1999, involving Khalid Sheikh Mohammed, Osama bin Laden, and his military chief Mohammed Atef. Osama provided leadership for the plot, along with financial support, and was also involved in selecting people to participate in the plot, including choosing Mohamed Atta as the lead hijacker. Mohammed provided operational support, such as selecting targets and helping arrange travel for the hijackers. Mohammed will appear in court at the base for arraignment within 30 days, alongside Saudi Arabians Walid bin Attash and Mustafa al-Hawsawi, Ramzi bin al-Shibh of Yemen and Pakistani Ali Abd al-Aziz Ali. Their full trials are then expected to commence within months, the Telegraph reported. The fate of the five men will ultimately be decided by a jury of 12 military officers drawn from across America's armed forces.